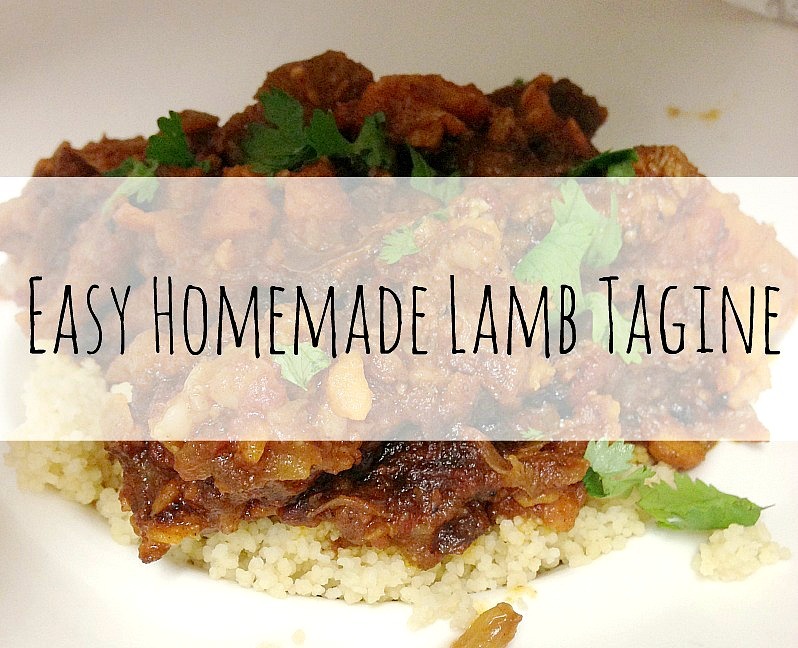 Hello and welcome to another recipe post, Easy Homemade Lamb Tagine, which is #2 in the recipe series on the blog. You can view #1, Bite Size Chocolate Balls, if you would like. I thought I would share a dinner recipe this week. One that my husband enjoys (not just me!). It is a Lamb Tagine. It is quite sweet, so if you have a sweet tooth and like sweet potato with your dinner this is definitely for you. I first made this recipe about a year ago. After running out of recipe ideas for diced lamb, I took to the trusty BBC Good Food website for some inspiration and found a great recipe. I used it and altered it to my own taste. Thank you to BBC Good Food for the inspiration. Firstly I need to confess that I didn’t use a tagine! I know it says lamb tagine, but I don’t have a tagine, so I used a large cask iron pan to cook mine in with a lid (By all means if you have a Tagine please use it). 1. I fried the onions with coconut oil until soft, added my crushed garlic cloves, and crushed garlic once onions were soft and stirred for 30 seconds. 2. Next I added the diced lamb and browned the meat in the pan, I then added the diced sweet potato, and chopped tomatoes. I stirred for a minute or two and added the stock to the mixture. 3. Wait till mixture comes to boiling point and then turn down to medium heat to let simmer gently for 40-50 minutes. Keep an eye out as the first time I did this I nearly let all the stock dry out. So don’t let that happen to you if you can help it. 4. Once mixture is complete and the sweet potato soft, take off the pan and transfer into serving bowl, add fresh coriander to the top of the dish before serving. I served my Lamb Tagine with cous-cous and a dollop of creme fraiche. The ingredients I used would serve 2-3 people, so of course add meat and other ingredients accordingly to suit the amount of people you are serving. And Enjoy! Donna recently posted…Wildlife Jack Review and Giveaway!